Bringing you delicious traditional bakes with a twist! My name is Jessica Marsden and I am a 25 year old baking fanatic! It was this exact cake that ignited my passion for baking and since then it has been a whirlwind of frosting, sprinkles, chocolate chips and brownies! I started this blog back in March 2013 as a way of simply storing my recipes, however since then (thanks to my lovely readers and followers) I have been able to share my recipes and baking love with several magazines and online recipe blogs! Check out Home Style Online to see my latest bakes. I try to upload a mix of traditional classics with a twist and showstopper bakes that are simple and easy enough so that anyone can recreate them. I love nothing more then seeing the bakes my readers have made so please drop me a message on Facebook or Twitter with your pictures! Occasionally I will also post about cafes, restaurants and shops that I have visited so I can share my experience and recommend them to you. One that springs to mind is the Mad Hatters Afternoon Tea at The Sanderson Hotel in London, check it out. 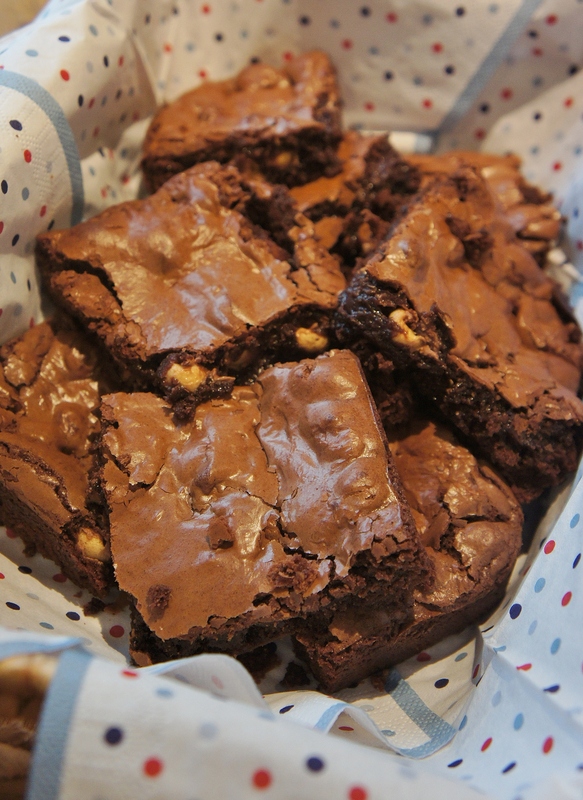 My all time favourite recipe is my Malteser Brownies, they are so simple yet every bite tastes like gooey, chocolatey heaven. If you only bake one thing from my blog, please let this be it. They should come with a warning though…you will want to eat them all! 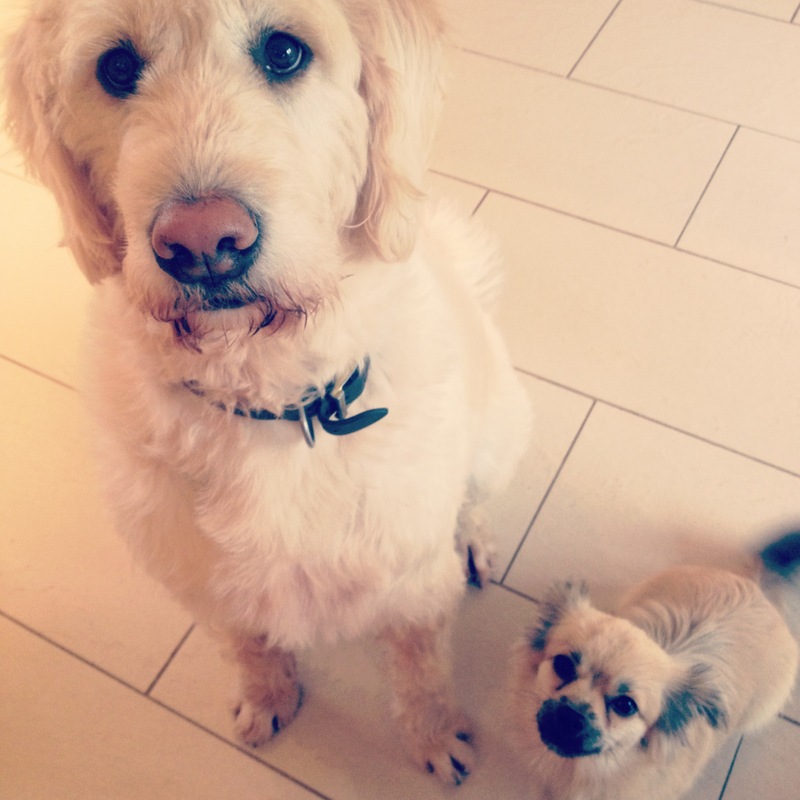 Oh and one more thing, if you wondering who those adorable fluff balls are above then let me introduce you to Alfie & Freddie, my two beautiful doggies! Loved your e-mail! So happy you are enjoying your baking adventures and creating such yummy and attractive desserts! I posted your e-mail on my facebook page. Hope to see you in the Fall! I think Jessie cakes website is very cool even if it’s my first time! We’ll see you at Lucy’s wedding! Keep up the good work! Congratulations on your nomination for the Liebster award, Jess! Well done! Thank you so so so much!! That is so kind of you and I’m happy you enjoy reading my posts (more to come this week) I will definitely be taking part in the Liebster Award competition. It’s such a good idea to get little blogs like mine out there. Looking forward to answering your questions! Malteser Brownies are my favourite too! Such a hit with my friends and family. Sadly I’ve given up chocolate for my NY resolution…. absolute killer. Day 16 and i’m still dreaming of it! Hi Jess! I’m enjoying your blog! Well done! Your recipes have me salivating! What a lovely about page, your enthusiasm shines through. I have blogged for a couple of years now, on and off, and baking started as a blog fuel… Definitely follow your desires, and it’s lovely to find a good new baking blog!